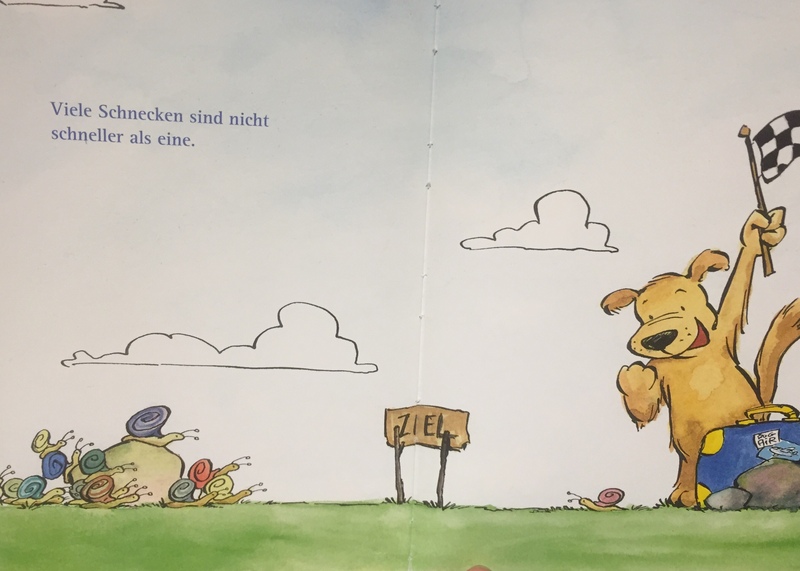 This book turned up called “Patrick wirbeleit – viele wie dich gibt es nicht”. It’s a book Pádraig got when he was maybe eight years old. He didn’t get it because at the time we thought it was a particularly great or exceptionally interesting book, but because of its name. You must have guessed it! 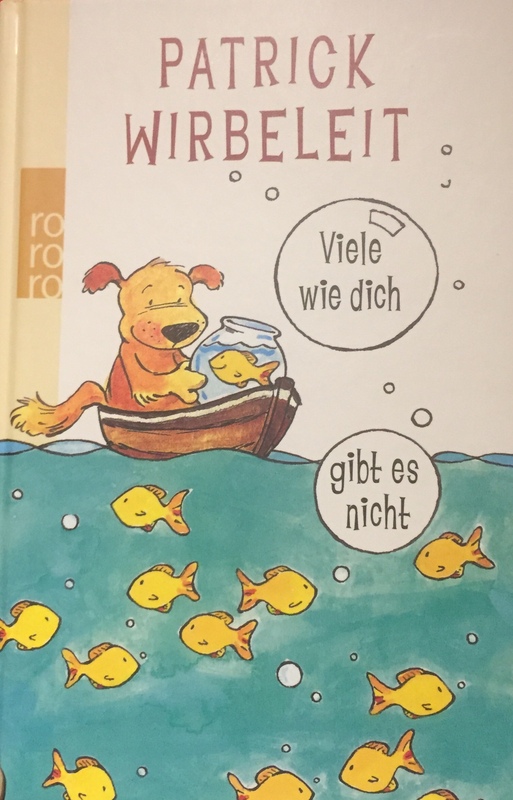 It’s hard to find a book with your name in the title – even if it is still a mystery to me what “wirbeleit” means. The subtitle, in contrast, is really nice: “there aren’t many like you”. No truer words said. We knew that then and, in a much more profound way, we know that today. What I didn’t know then is how important the idea of him being in this boat was going to be to him and to myself. Maybe that’s where the Dreamboat idea originated. The book is full of pictures about Patrick exploring the world and discovering new and exciting aspects to it. One of the best pictures in my opinion is the one that says that “many snails are not faster than one”. The idea behind this is plausible. Yet, this is a more abstract version of very many concrete situations I’m sure you have experienced many times in your life. And they provoke strong reactions when I experience them. Snails are going to take their time. No matter how many of them are aiming for the finishing line. What this tells me is that more people getting involved is not always the solution to a problem. And: there are times when it might be better to take things slow and easy while staying focussed. Because they just take their time. I’m not naturally blessed with patience, so I keep praying for it!